16.4" x 21.5" stitched on 14 count. 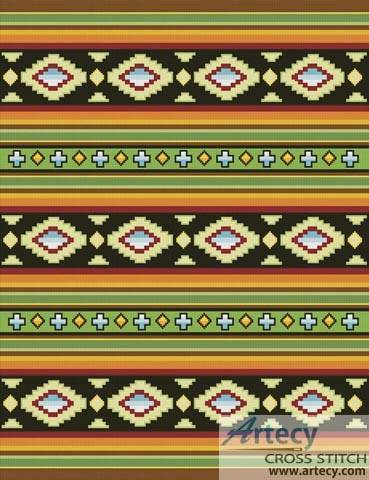 Mexican Pattern cross stitch pattern... This counted cross stitch pattern of a Mexican design was created from an image copyright of www.liquidlibrary.com. Only full cross stitches are used.